"PRM" is my hobby internet radio broadcast. 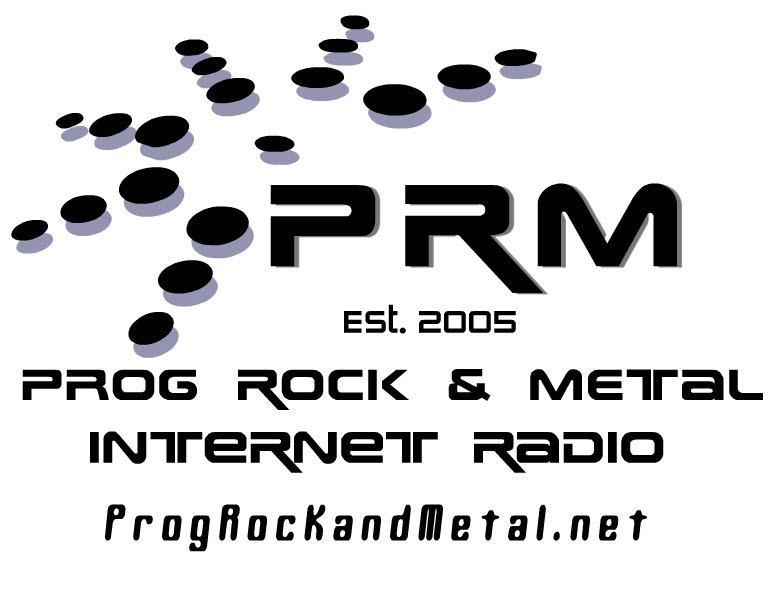 PRM is airing my personal selections of progressive metal and progressive rock music from some of the most talented and creative artists from around the world. "Prog" music encompasses a very intelligent approach to creating "listening" music. See my Station Philosophy for more information on what you are about to tune into!!! DREAM THEATER, Day Six, Tomorrow's Eve, Superior, Symphony X, Pagan's Mind, Evergrey, Darkwater, Enchant, Sonata Arctica, Jadis, IQ, Magellan, Hourglass, Metro Society, Shadow Gallery, Adagio, Arena, Ice Age, DGM, Day Six, Andromeda, Aspera, Astra, Riverside, VoTuM, AtmOsfear, Pyramaze, Teramaze, Threshold, Redemption, Time Requiem, Vanden Plas, Everwood, Lalu, Ivanhoe, Odd Logic, Epysode, Circus Maximus, Dreamscape, Lord of Mushrooms, Presto Ballet, Vision Divine, Anthropia, Status Minor, Port Mahadia, Fates Warning, Sieges Even, Subsignal, Kamelot, Dead Air Radio, Pathosray, Seventh Wonder, Anthriel, Speaking To Stones, The Omega Experiment, Eumeria, "special" indies. -- AND MUCH MORE! Radium (GOOD ONE) iOS - YES, shows album cover art most of the time!!! Android? = someone let me know if it is available/works? (click here to see the list as well as tracks from featured albums). Mark's still out there! "PRM Radio is now partnering with Progtopia (Mark Ashby), a podcast produced roughly twice a month that goes in-depth with a band or artist from the fields of progressive rock, metal, or electronic music, many of whom you can hear right here on PRM. Episodes of Progtopia include music and exclusive interviews with the featured bands that you'll find nowhere else. Anubis Gate, Sylvan, former Peter Gabriel keyboardist Larry Fast, and more have already appeared on the show. Visit the site at Progtopia, or search for it on iTunes, to listen to and download all shows past and present. We'll see you in a land called Progtopia!" Progtopia Podcasts will appear in the artist listings under "Podcast". STREAM DOWN INFO: Yeah, s**t happens! On occasion, PRM's stream may be down. It could be one or more of many reasons: internet issues beyond my control (your end or my end); updating Windoze security patches; unforeseen maintenance such as replacing out a server, or router; power outages which seems to happen way too much, and so on. I DO try hard to keep any downtime to a minimum. Just remember -- I love this music as much as you want to listen to it and I want it running all the time!!! Email me just in case.